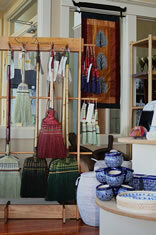 The world of handcrafts is brought right to your hands at this delightful little store. From colorful woven purses and clothing to fabulous fair trade chocolate, there is a worldly treasure for everyone here! Called "Kizuri," which means "good" in Swahili, this little shop is good for the planet, good for people and good for you! 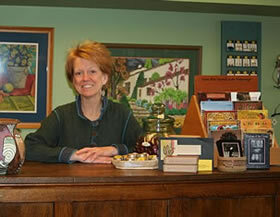 This is Spokane's premier "fair-trade-earth friendly" store. 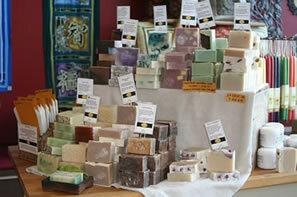 That means that each purchase you make is contributing to a fair and livable wage for every artisan. Your purchases help support projects that provide work for people in developing countries so that they may care for themselves and their families. 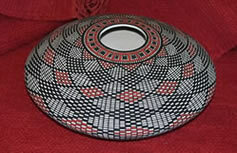 The high quality crafts are sent to the store from craft producing villages around the world and offered at fair but still very good prices. Through this endeavor, Kizuri is proving that local efforts can make a global difference. A selection of handcrafted clothes, sewn in people friendly shops is featured in sustainable materials such as organic cotton, hemp and bamboo. 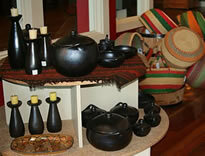 There is beautiful Dhaka weavings and traditional copper ware from Nepal, baskets from Ghana and dazzling jewelry! Kizuri has fair-trade organic chocolate and coffee along with indigenous art, practical housewares, handcrafted pottery, soaps, lotions and quality-crafted children's toys. 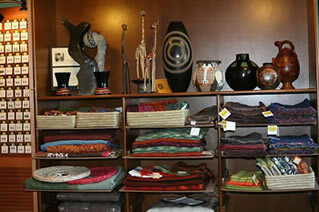 Shop at Kizuri and discover delightful world crafts and your own ability to make a difference.